SOCHI, MAY 14, ARMENPRESS. The meeting between Armenian Prime Minister Nikol Pashinyan and Russian President Vladimir Putin has kicked off in Sochi, Russia. The discussion focused on issues of mutual interest. The meeting is being held ahead of the Supreme Eurasian Economic Council sitting, ARMENPRESS correspondent reports from Sochi. Armenia’s deputy PM Tigran Avinyan, foreign minister Zohrab Mnatsakanyan, Armenia’s Ambassador to Russia Vardan Toghanyan, assistants to the Premier Varuzhan Nersesyan, Ruben Rubinyan and FM advisor, head of the CIS department Armen Ghevondyan are also participating in the meeting from the Armenian side. During the visit the Armenian PM is also expected to meet with President of Belarus Alexander Lukashenko and Kyrgyz President Sooronbay Jeenbekov. The ongoing EEU summit in Sochi is the first meeting of leaders of member states of the union in 2018. The EEU – Eurasian Economic Union – was established on January 1, 2015 and includes Armenia, Belarus, Kazakhstan, Kyrgyzstan and Russia. Russian President Vladimir Putin was first to congratulate Nikol Pashinyan on his election as Prime Minister of Armenia. 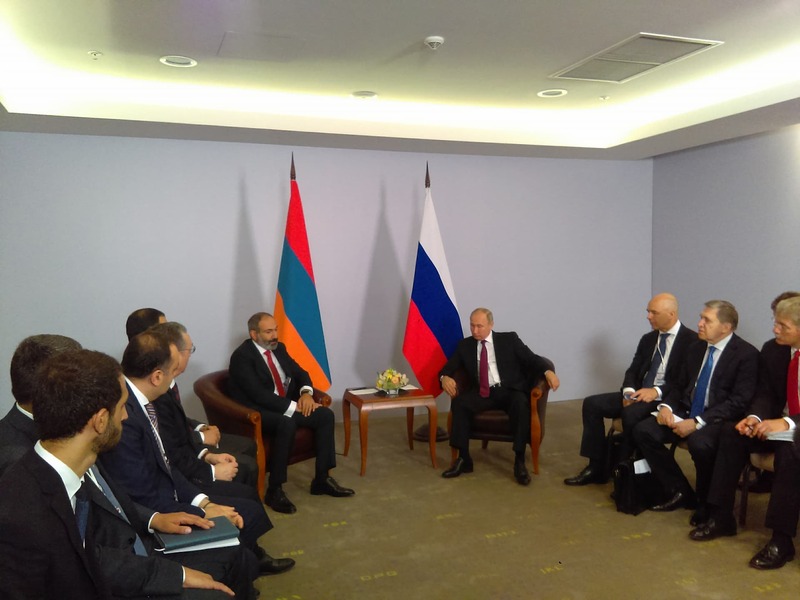 Pashinyan and Putin both expressed willingness to continue joint work aimed at further development of the Armenian-Russian strategic and allied relations and deepening of integration processes. Pashinyan and Putin agreed to have a more detailed discussion during their May 14 meeting in Sochi.